ADA-EASD Consensus Report reflects current treatment recommendations as endorsed by the ADA and the PPC. Management of Hyperglycemia in Type 2 Diabetes: ADA-EASD Consensus Report 2018 reflects current treatment recommendations as endorsed by the ADA and the PPC. Annotation published: October 5, 2018. Annotation approved by PPC: September 20, 2018. A beneficial impact of the fat quality on insulin sensitivity is not seen in individuals with a high fat intake (> 37E%). This is likely do to the reduced carbohydrate intake rather than increased fat intake. Since carbohydrates generally insulin sensitivity, it's likely that this additional insulin resistance is acting as a confounder (as well as, presumably, a standard deviation widener). Thus, I would expect similar results during hypocaloric carbohydrate restriction. A visual exploration of the link between statin use and the risk of Diabetes in a subpopulation of patients with subclinical hypothyroidism. 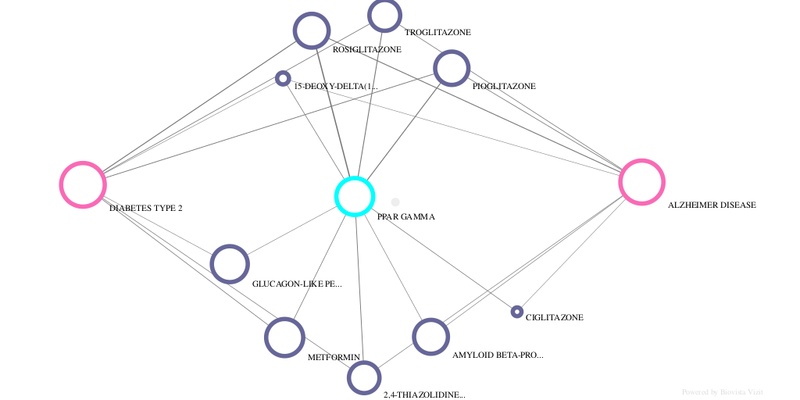 This is an interactive graph created with Biovista Vizit; nodes and links can be further explored to view supporting bibliography and molecular mechanism of action. Insulin sends a message to our cells that nutrients are available, meaning it’s time to grow and proliferate. When the levels of the hormones drop, it’s a signal to cells that its time to enter a life-extending mode of conservation. Such a system makes evolutionary sense. spiritual senses of the occultist as are externally perceptible colors to the physical eye. This etheric body can actually be seen by the clairvoyant. It is the principle which calls the inorganic materials into life, which, summoning them from their lifeless condition, weaves them into the thread of life's garment. This reminds me of the diabetes and heart disease epidemic. If through forced choice you can engender a species of people to change the make up of their blood through outside chemicals and OVER FEEDING everyone sugar rendering most people diabetic you can in essence control the emerging medical needs of a society dependent on new forms of health care and medicines. The obama care state.